Gum tissue is thin and soft, so it’s important to treat it gently. It can wear away, and once it’s gone, it won’t grow back. Receding gums can cause you to experience discomfort and temperature sensitivity. In addition to making your teeth appear darker and less appealing because of root exposure. Brushing with a hard-bristled toothbrush. Having crowded, or misaligned teeth. Regularly scratching, or rubbing your gums with something like your finger, or a pen. Oral piercings that are constantly rubbing your gums. Genetically having thin gum tissue. It’s important to first pinpoint the cause of your gum loss. When you come in for a consultation with our Dunwoody dentist, we’ll do just that. 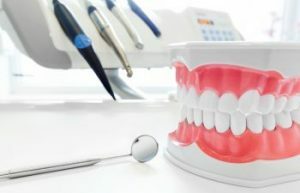 If your brushing habits are the cause, then we can show you proper techniques and the right products to use to prolong the life of your gums. For people that grind or clench, we would likely recommend a night guard to wear while you sleep. Going through orthodontics can make a world of difference if your gum loss is caused by crowded or misaligned teeth. Your solution could be as simple as avoiding rubbing your gums with items in your mouth or just removing your oral piercing. Whatever the cause is, we’ve got you covered. If you’re struggling with gum loss, come see Dunwoody Family & Cosmetic Dentistry for a solution. You’ll be glad you did. Did you Know Your Dentist Can Check for Oral Cancer?Dental X-Rays: Safe and Vital!